It’s no secret that I don’t like traditional dioramas. But apparently I do like it when it looks like traditional dioramas have exploded and scattered animals throughout the exhibit. I like it a lot. 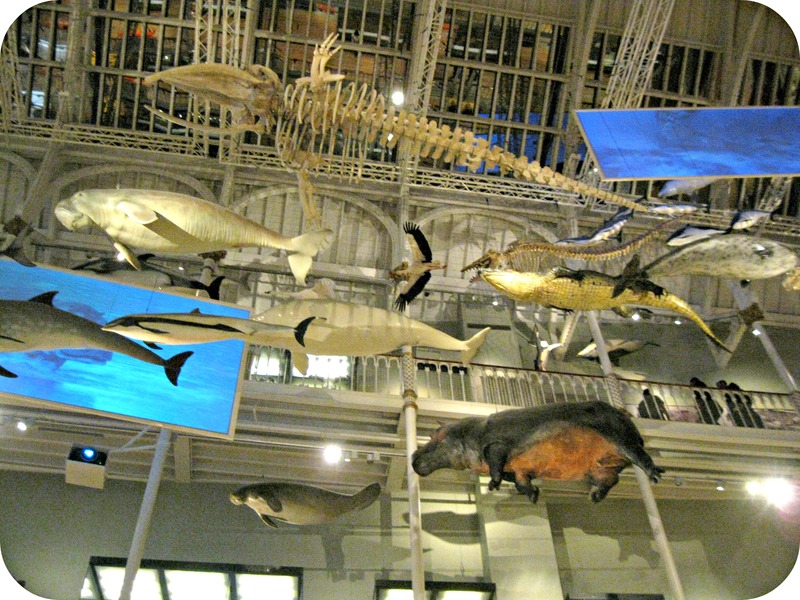 Last week I visited the National Museum of Scotland. 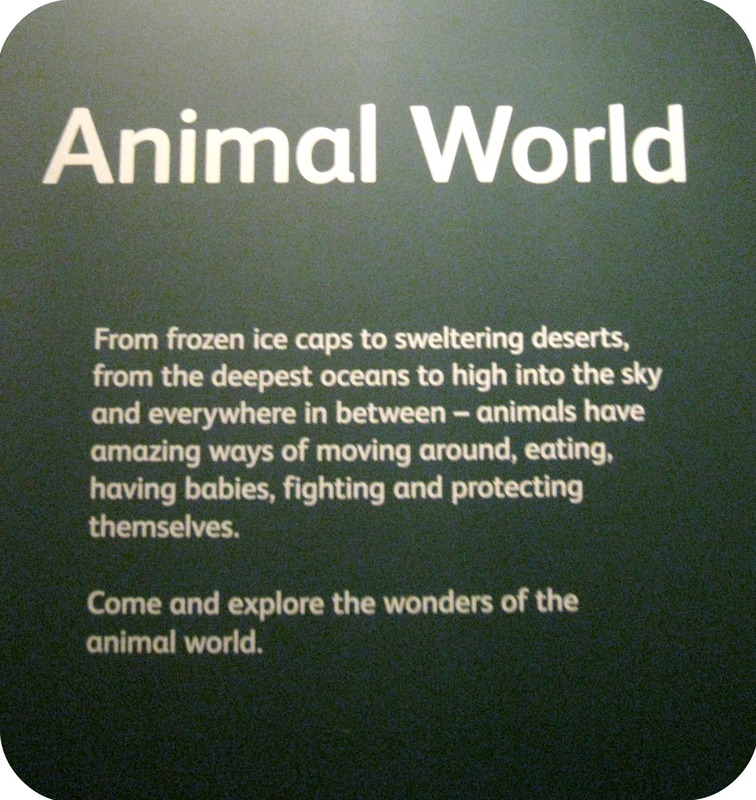 And it was a lovely, if somewhat predictable, experience until I got to the “Animal World” exhibit. Wowzers. What a gorgeous example of interpretation masquerading as organized chaos. Because, honestly, what else do you call a camel standing in front of a polar bear and a hippo swimming next to a beluga whale? 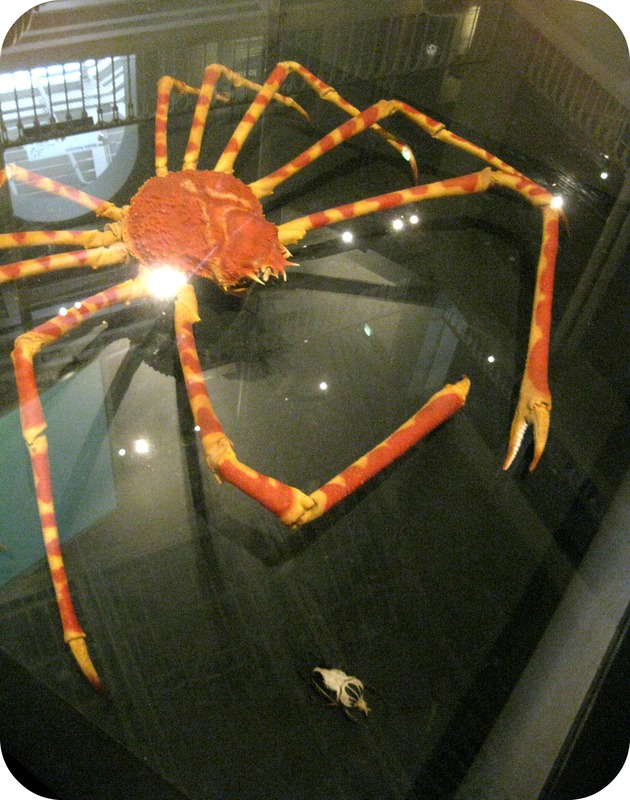 Lest you think these deconstructed dioramas are just Wild Kingdom gone helter skelter, there’s a method to the madness. And it’s this, aside from the fact that the layout is so striking, that I love the most. 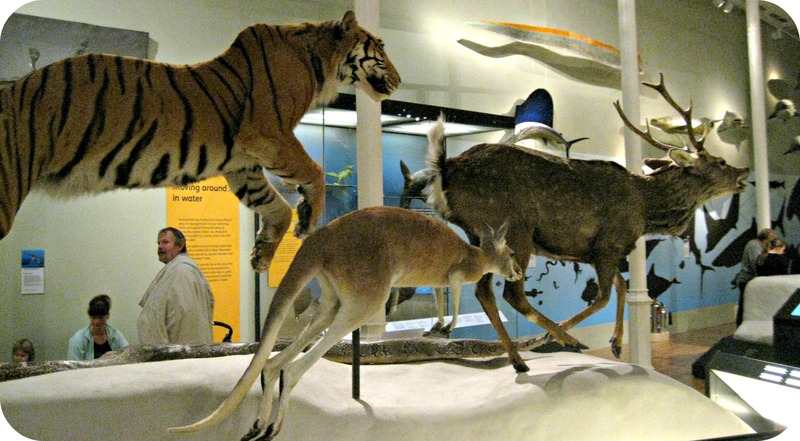 Instead of creating traditional dioramas that organized animals geographically, the museum organized them thematically, under topics like adaptation, behavior, body structure, and diet. Glyptodons, the Tootsie Pops of the Pleistocene. This refreshing approach does a couple of excellent things. First, it allows the museum to really focus the stories it tells. 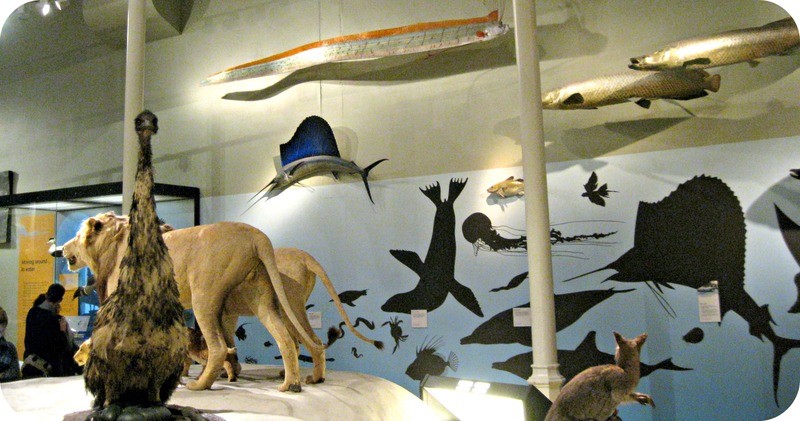 Traditional dioramas can carry the expectation of too many stories – what’s the landscape like?, what do they eat?, what eats them?, what’s the community structure?, etc. By grouping animals thematically, you can focus on telling one story and telling it well. 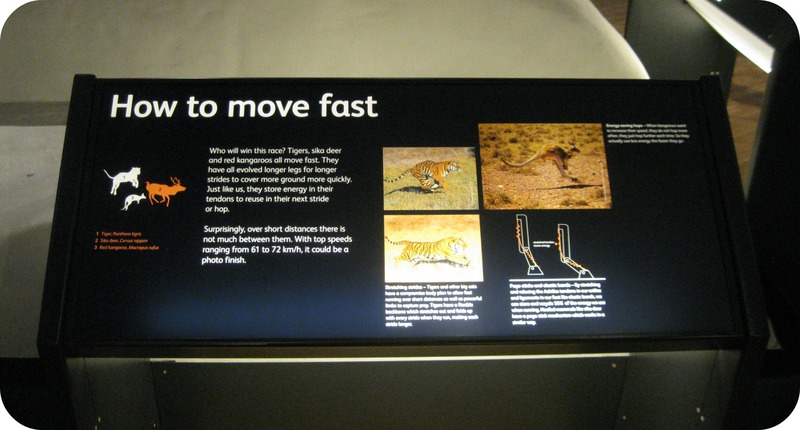 Second, the approach gives the museum a lot more visual freedom. 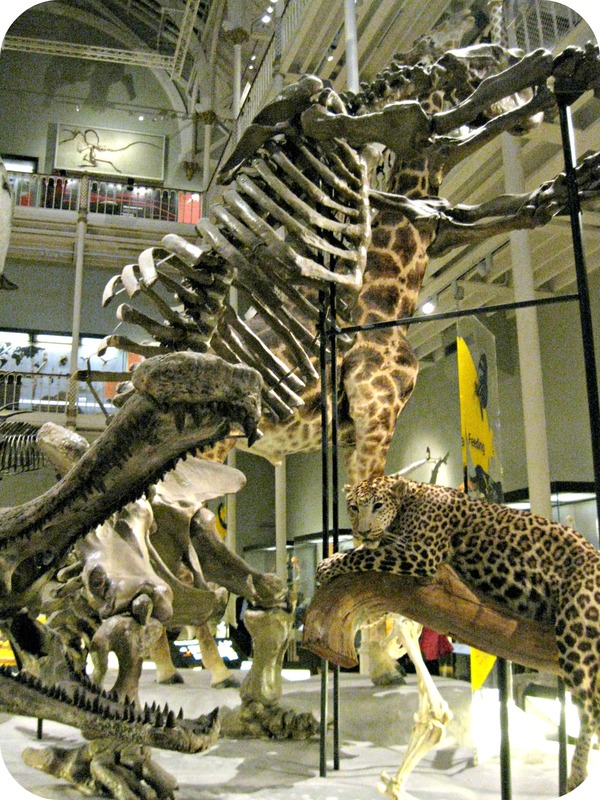 Suddenly extant mounts are next to extinct skeletons, panda bears are chilling out with koala bears, and yes, that is a basilisk lizard next to a penguin. How lovely. 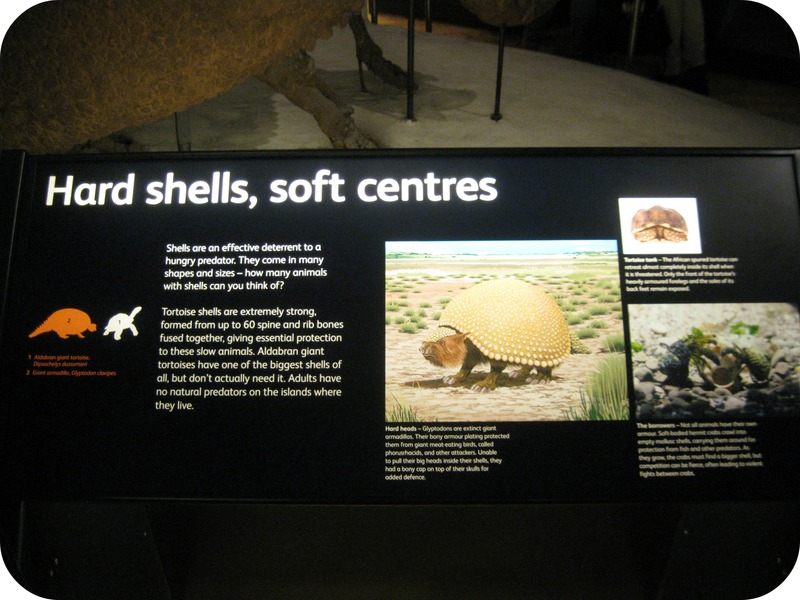 Finally, it invites visitors to set aside their expectations (and the standard animal stories they’ve probably already seen before) and make new connections between organisms. 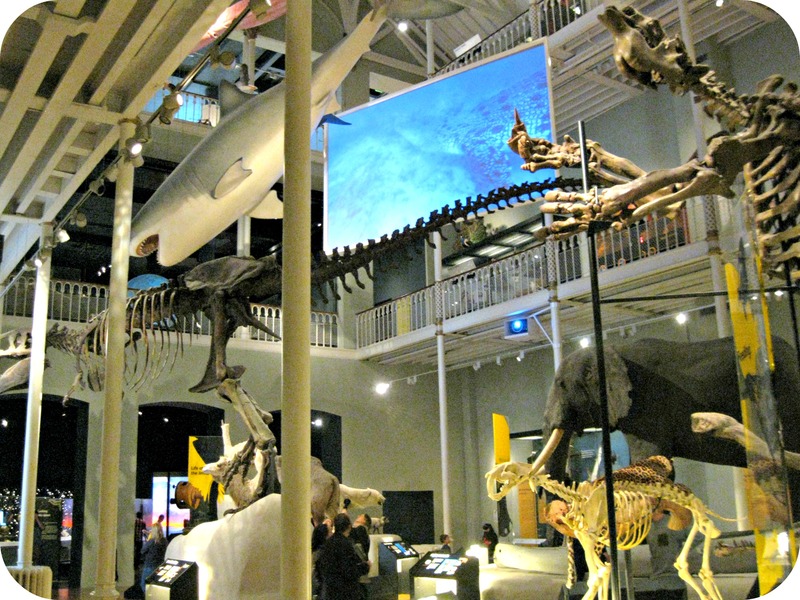 This exhibit approach reminds me of the “Schad Gallery of Biodiversity” at the Royal Ontario Museum, and the “Fossil Wall” and “Biodiversity Wall” at the Fort Collins Museum of Discovery. Have you seen any other museums using similar styles or display techniques as opposed to traditional dioramas?